Our standard Gift Vouchers cost £30, £45, £60 or £100, but you can specify a different amount if you wish. 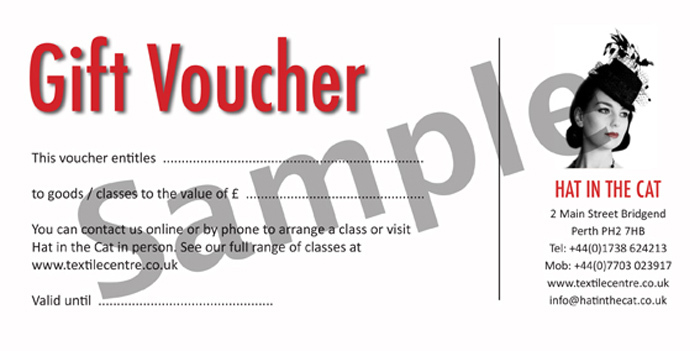 You can redeem vouchers against any goods, workshop or Masterclass at Hat in the Cat or Big Cat Textiles. Please drop in or contact us by phone or email to have them mailed to you or a friend.